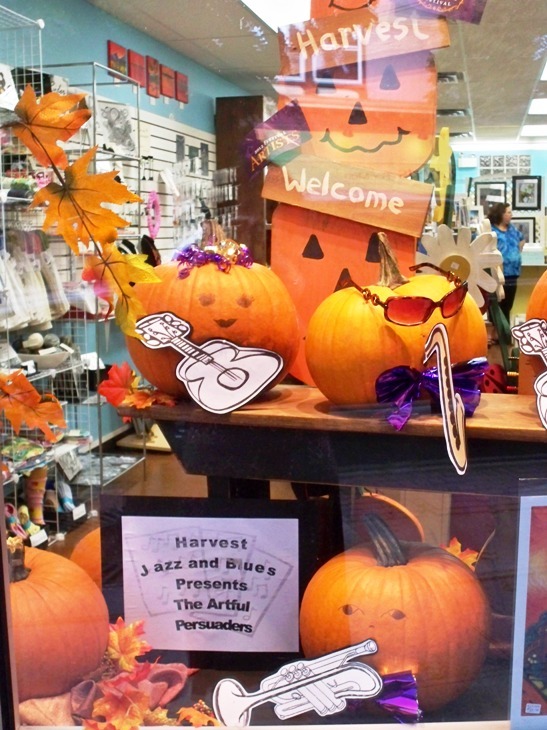 It is officially fall and time for the annual Harvest Jazz and Blues Festival, the shop needed the windows done so Debra decked them out with a pumpkin band called "The Artful Persuaders" with an appropriate musical theme. The downtown streets come alive with music everywhere and most of the store fronts create musical themes. There is a contest involved so keeping our feathers crossed for Artful Persuasion, a collective of twenty six local artists and artisans.